Sadly, we waste a LOT of food. This months #EatKit topic was all about getting creative with food waste, and some of the facts shared by the passionate participants are pretty shocking. According to SecondBite, a national organisation that identifies surplus food and distributes it to agencies and those in need; around $1.1 billion worth of fruit and vegetables are wasted by Australians each year. To put that into perspective; Dietitian Dr Gina Levy says “one out of every 5 bags of groceries goes to waste in Australia.” What a shame, considering one million children go to school without breakfast or to bed without dinner. Fortunately, there were some very creative and interesting ideas thrown around last night – here are my favourites! 1) Freeze brown bananas for smoothies or breads. They’ll last for months and a smoothie tastes SO much better with frozen bananas. 2) PLAN your weekly meals. 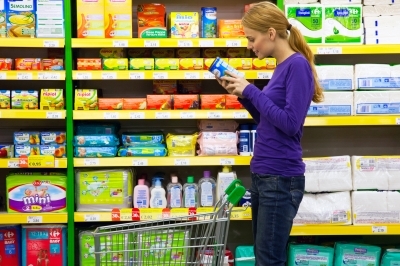 Do your supermarket shopping with a list to avoid purchasing things you don’t need and WON’T use. 3) Organise the fridge so that everything is visible. 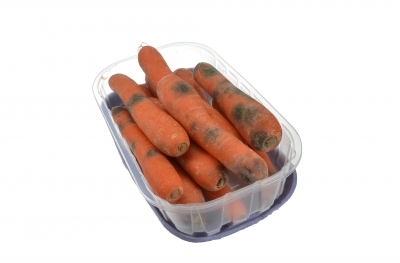 How many times have you rummaged through the back only to find an unopened punnet of mouldy strawberries? (or is that just me..) This also avoids overlooking perishables and replacing with MORE food! 4) Keep pantry staples like lentils, chickpeas and tinned tomatoes on hand to throw together one-pot meals with left over bits in the fridge, (such as soups, casseroles and stir frys). 5) Don’t get confused between Use by and Best before dates. Foods with a Use by date can’t be legally sold past said date, as they will then pose a health risk. Most foods display a best before date, and aside from small losses in quality, are perfectly fine for consumption for a while as long as stored correctly. Being savvy with this not only avoids unnecessary food wastage, but can also save you money, as foods surpassing their best before date are often significantly discounted. How do you avoid food wastage? I’d love to hear your creative tips! The ‘new’ Atkins diet- haven’t we moved past this?